199 Huron Street, Residence 3A. 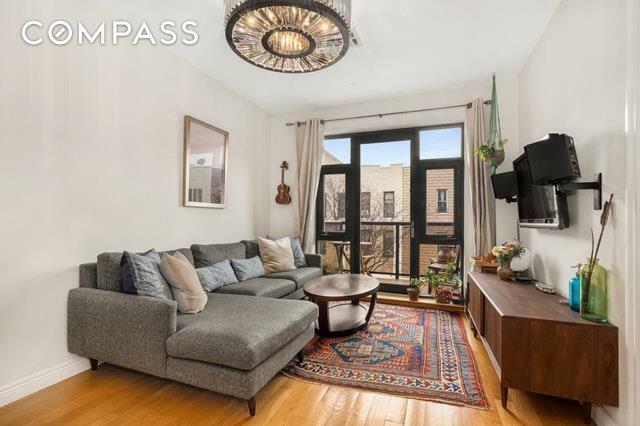 One of a kind spacious 625 SqFt 1 bedroom is located on a quiet charming block in Greenpoint. 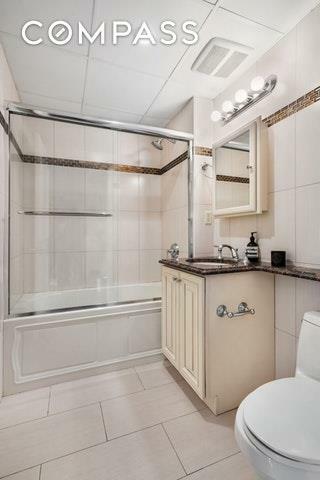 Upon entering this south facing apartment has premium qualities: tons of natural light, hardwood oak flooring, private balcony, GE Gallery kitchen appliances with hand painted cabinets, in unit Bosch washer & dryer, 9 foot ceilings, custom closets, central air, and a walk-in closet in the bedroom. The bathroom is accessible through the living room and bedroom and includes a large jacuzzi tub. The unit also comes with a private storage room in the basement included in the asking price. Deeded cover parking spot is offered for an additional price - just reduced to $35,000!The elevator 15 unit residence has been thoughtfully designed - maximizing quality and comfort. Residents can enjoy the stunning well maintained roof deck with a garden. The condo has a 421a tax abatement in place until 2027. 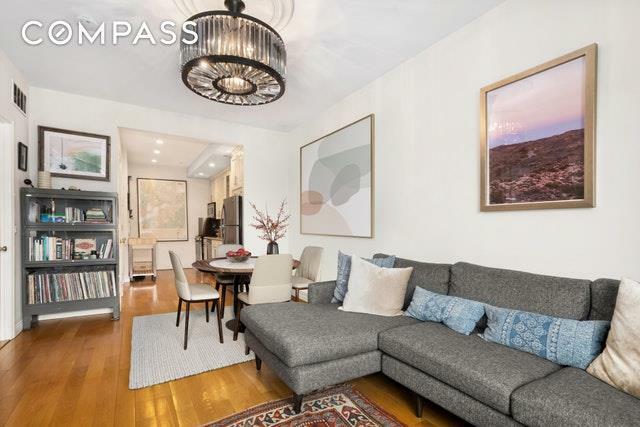 The low monthlies makes this a great opportunity to own in a prime central location. 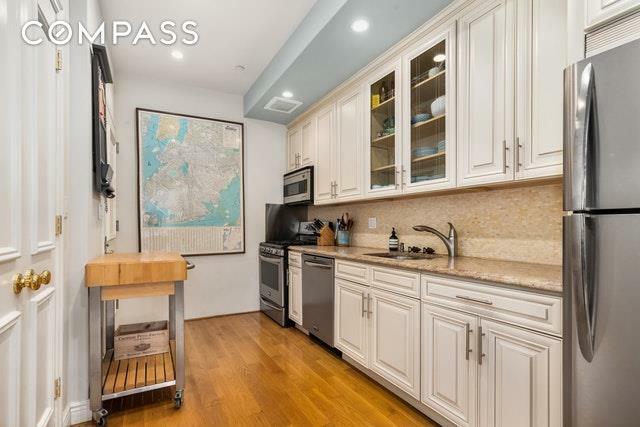 Steps away from great restaurants, coffee shops and retail along Manhattan Ave and Franklin St. Few blocks from the G train and Ferry and walking distance to the 7 train Vernon Blvd/Jackson Ave station over Pulaski Bridge easy access to Manhattan, Queens, Brooklyn and close to highways/airports. Contact me now for this extraordinary opportunity. Listing courtesy of Lawrence Hakimi of Compass.